Mumbai, April 21 (IANS) Hollywood star John Travolta, of “Saturday Night Fever” and “Grease” fame, will attend the 15th International Indian Film Academy (IIFA) weekend and awards in Tampa Bay, Florida starting Wednesday. He will also be honoured with the ‘Most Popular All time International star in India’ award. The two-time Academy Award nominee and two-time Golden Globe winner’s presence at IIFA is symbolic of the coming together of the two distinctive film industries – Hollywood and Bollywood, said a statement issued by the event’s organisers Monday. 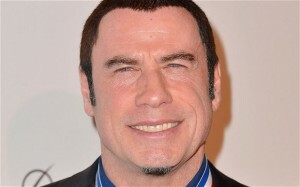 Travolta will grace the extravaganza, which is making its US debut this year. An iconic name in Hollywood, Travolta, 60, has seen stupendous success as an actor, singer and dancer. He has starred in hits like “Pulp Fiction”, “Swordfish”, “Face Off”, “Broken Arrow” and “Ladder 49”. The green carpet for IIFA will roll out in Tampa Bay Wednesday and the culminating awards night will be held Saturday. Actor Kevin Spacey will also attend the gala as part of a Master Class Panel, where he will share the stage with Bollywood star Vidya Balan.